In Boots (UK) and Wal-Mart (U.S.) stores, ladies can now try on makeup without having to actually use any. “Virtual mirrors” are installed here. They are terminals that help women see how they would look with that makeup applied. The camera, which is equipped with terminals, take a snapshot of a shopper’s face, and the scanner scans the bar code of the specific product you liked. After data processing, the face of a lady decorated with selected products such as lipstick would appear on the screen. 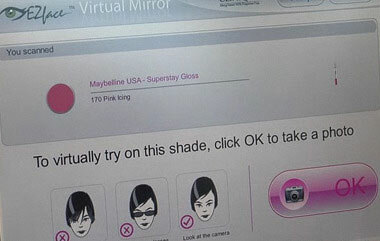 A “virtual mirror” can be used for selection of mascara, eye shadows, lipstick, foundation, blush and other makeup. It is much more hygienic to use probes. What do you think of such an idea? 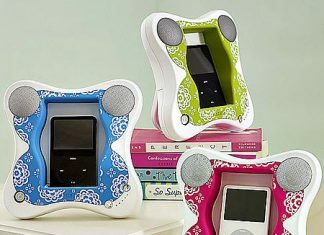 Source of the image: News.cnet.